These Macaws are so cute! Their adjustable feet let them perch on planters, vases, lamp shades, curtain rods, etc! These are sold in pairs. Choose a pair of Blue & Gold Macaws or a pair of Scarlet Macaws or a pair with one of each! 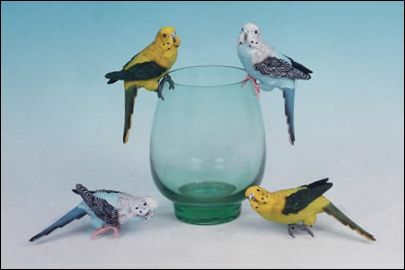 These cute budgies are so life-like! 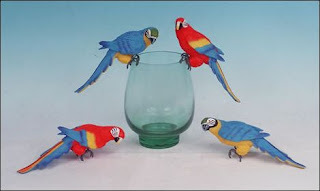 Their adjustable feet let them perch on planters, vases, lamp shades, curtain rods, etc! These are sold in pairs. Choose a pair of blue or a pair of yellow!